All environments of Kid’n Around are home like, allowing your child to feel comfortable within his or her surroundings. Our relaxed, unhurried and aesthetically pleasing environments create a common ground to build trusting relationships between child and educator, educator and educator and educator and family. The centre has two classrooms. The 18 month to 3 year old children are cared for in the Birrung (Star) Room by 3 educators with a maximum of 15 children. The 3 to 5 year old children are cared for in the Yunada (Moon) Room by 2 educators with a maximum of 20 children. 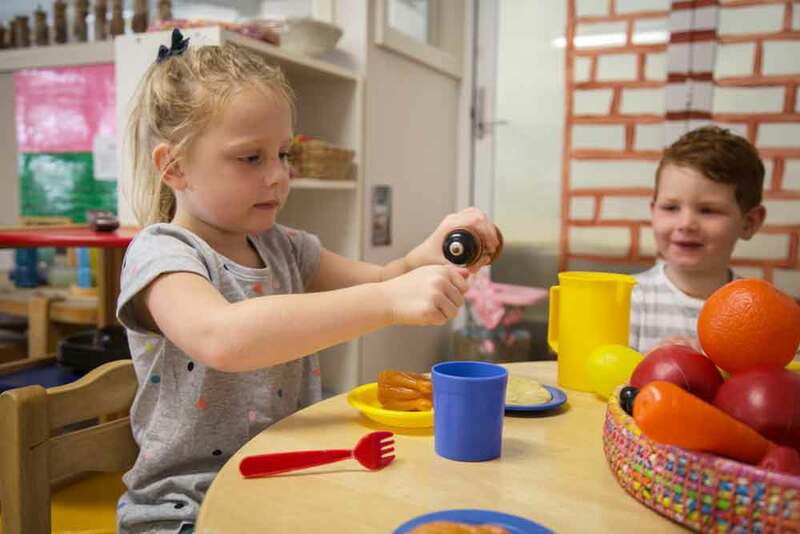 In line with the NSW Care and Education National Regulations and Law, the centre always has an Early Childhood Teacher onsite. We always meet, and often exceed, the legislated required staff to child ratio’s. We have three stocked storage sheds with an abundance of climbing, balancing, jumping, sandpit, measuring, balls and games equipment for children to use. Our outdoor environment is changed regularly to meet the developing needs of children. Outdoor equipment changes are recorded in our outdoor reflection diary.